Professional athletes are always targets for public scrutiny. A single bad performance can unleash a tidal wave of criticism. Now one struggling NFL player took action after fans went to extreme measures to ruin him. The psyche of a professional athlete can be a fragile thing. Extreme confidence is one of the key factors that divides the top-tier players from the guys who couldn’t hack it in the pros. Even established players struggle with their confidence. For example, Gold Glove-winning Second Baseman Chuck Knoblauch caught a case of “the yips” and could no longer make routine throws to first base. NBA Shooting Guard Nick Anderson saw his career quickly crumble after he missed four consecutive free throws when he needed to make just one to ice the first game of the 1995 NBA Finals. Anderson’s Orlando Magic lost the game in overtime and lost the series in a sweep. Perhaps one of the most psychically fragile players in all of sports is the NFL kicker. Players who boomed kicks in college with accuracy suddenly got to the NFL and missed routine kicks despite the goal post dimensions being exactly the same. The Buffalo Bills’ Scott Norwood went into exile after missing the game-winning field goal at the end of Super Bowl XXV. 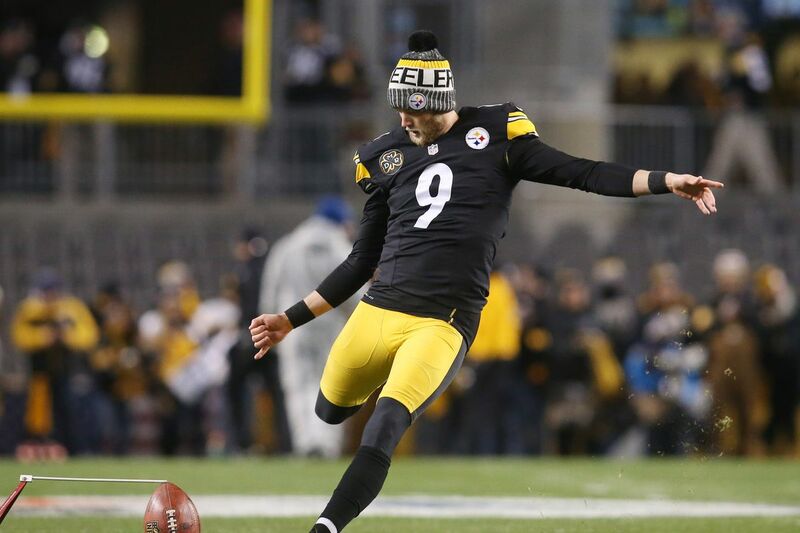 Now the most recent kicker to come under heavy scrutiny is Chris Boswell of the Pittsburgh Steelers. Boswell has had ups and downs with the Steelers; he’s made a Pro Bowl, and he’s also struggled so much that head coach Mike Tomlin opted to go for two-point conversions instead of extra points. Boswell, riding off his Pro Bowl success, signed a five-year, $20 million contract, but his performance is currently on a downturn. The latest drama involved a game against the hated New England Patriots when the embattled kicker missed a chip-shot field goal in a game that was decided by seven points. The Steelers won, but the fans lost their minds. In an attempt to perhaps spur the Steelers to get rid of Boswell, fans dug up five-year-old Boswell tweets that could be considered homophobic. The tactic was last used on Heisman Trophy winner Kyler Murray. Minutes after claiming the most prestigious award in college sports, Murray was attacked by a left-wing gay activist, writing for USA Today, who dredged up homophobic tweets from Murray’s middle school days to shame him. And before that, the same gambit was used against comedian Kevin Hart, which led to his backing out of hosting the Academy Awards. This phenomenon of scouring people’s Twitter accounts in search of damaging material is an ugly political tactic that needs to stop. The Steelers were last also at the center of a political media storm when Army veteran Alejandro Villanueva stood for the National Anthem at the end of the tunnel onto the field while his teammates remained in the locker room in protest. Boswell mitigated the damage by deleting his Twitter account and disabling comments on his Instagram account, but activist jackals are on the loose. No public figure can ever be too careful.